Available Now! Von's book is an 8 x 10 soft cover volume - 132 pages in full color. Included in the journal are over 150 color photographs, excerpts from Von's expedition audio journal, and narratives describing preparation, training, travel to Alaska, and stories of the expedition across the Alaskan frontier. In 2009 the Serum Run '25 Expedition set out to retrace the original 1925 route across Alaska to deliver lifesaving antitoxin by dog teams to Diphtheria stricken Nome. To prepare for the arduous journey, Washington state musher Von Martin meticulously assembled 1,200 lbs of supplies, trained his team of twelve huskies for hundreds of miles, and made the long midwinter drive to Alaska. What he did not anticipate was the worst Alaskan winter in decades. 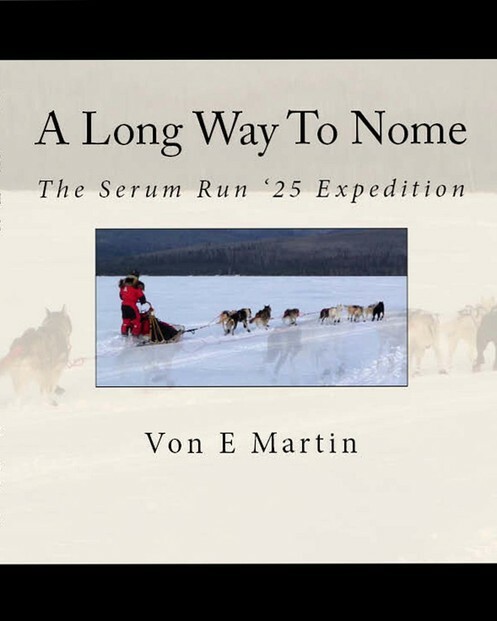 Cut off from the expedition's support party and faced with an impassable trail, Von Martin and the Serum Run '25 mushers must make a heartbreaking decision for their expedition and their faithful sled dogs. Join Von Martin as he shares his heartfelt story through journal excerpts, photographs, and narratives, all the exhilaration, hardship, and life lessons learned from his huskies during an attempt to cross the Alaskan wilderness by dog team.